Tourists are increasingly seeking authentic cultural experiences and are supplementing the usual guided tours to iconic monuments and landmarks with visits to distinctive, often out-of-the-way architectural and natural heritage sites. How can tourists find such memorable experiences and places? And how can they make sure they are responsibly contributing to a destination's culture, environment, and economy? During the past few decades, ecotourism has focused on trying to lessen tourism's negative impact upon the environment. But what about other dimensions of a destination such as a community's local economy and culture? Planning a trip to the Caribbean and want to include some distinctive cultural experiences or visit a hidden heritage gem? Are you interested in experiencing the unique traditions, foodways, and cherished places of the local community at your destination-- in a way that will also have a positive impact upon the culture and economy of your destination? Discover the wide variety of experiences available throughout the region. A number of international organizations have developed certification programs to help visitors identify destinations, accommodations, and tours that contribute to environmental and cultural sustainability and benefit the local economy. Look for some of the following logos when planning your trip to the Caribbean. The Caribbean Heritage Network's goal is to widen public participation in the identification and protection of each country's untapped heritage resources through more comprehensive protective legislation and fiscal incentives, more complete documentation of places and practices of significance, and expansion of the regional training of heritage professionals. 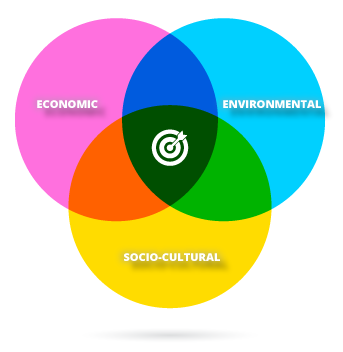 One of its major initiatives is a Sustainable Heritage Endorsement Programme that seeks to increase the participation of locally-based guides, cultural practitioners, and heritage­‐related firms by offering better access to the tourism market for products that meet locally­‐approved standards of authenticity and sustainability. We encourage you to become a member of the Caribbean Heritage Network and participate in one of its growing interest groups.